Wales isn’t often the place you associate with pirates but Jonathan Williams, founder of a new, seaweed-infused rum Barti Ddu, thinks we should. “During the Golden Age of Piracy between the 1650’s – 1730’s, around half of Europe’s pirates were thought to originate from Wales”, he tells us. “I think we should be celebrating this rich pirate heritage and, of course, there’s perhaps no better way to do this than with a signature bottle of Welsh rum!”. 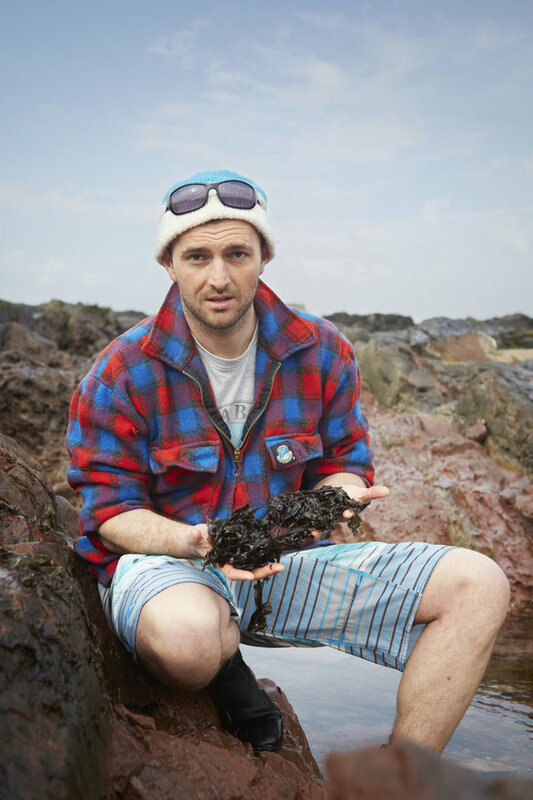 As a lover of all things sea-related, Jonathan has been harvesting natural products from the sea and serving them up to customers at festivals, pop-up events and markets since 2010 with his seafood and drink company, The Pembrokeshire Beach Food Company. His company has grown from a one -man band to now employing over twenty people during the summer months. “When I first started serving Welsh street food outside a small shop in Pembrokeshire, I barely made a profit, but it was the best day’s work I’d ever done”. 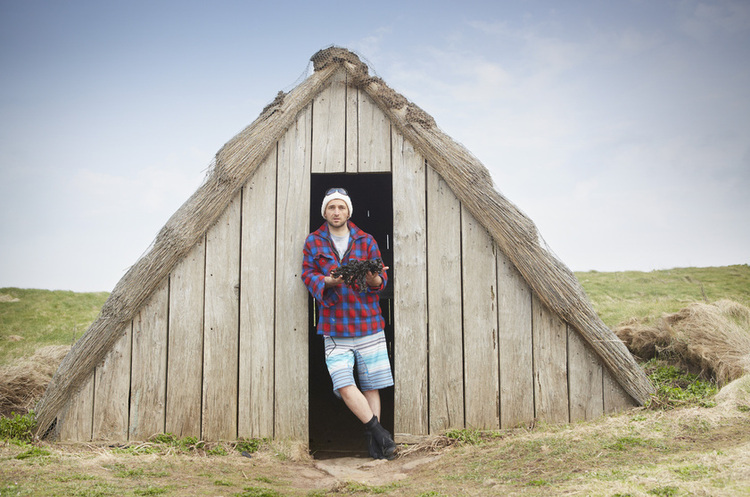 Soon enough his seafood products became so popular that Jonathan was spending his summer travelling across Wales attending festival after festival. Within his first year of business, he won the opportunity to serve his seafood to the athletes at the Olympic stadium in London and he hasn’t looked back since. All the seaweed used for their products is collected by hand from the local coastline. 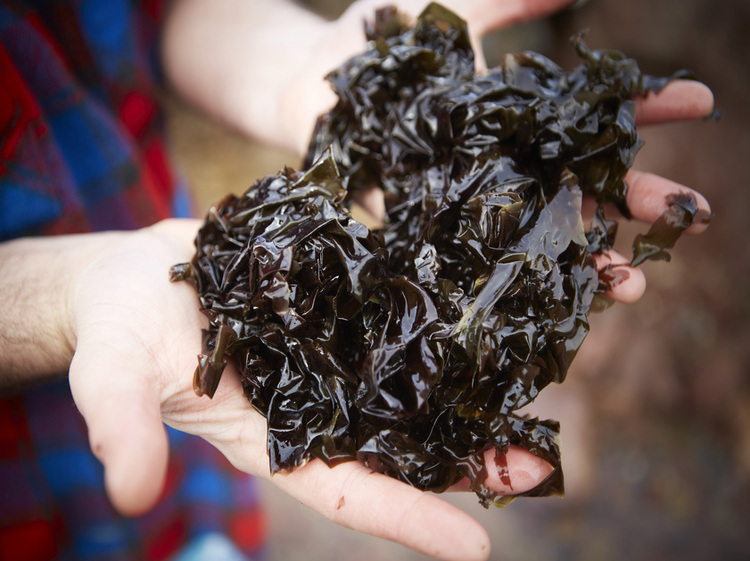 “There’s such a wide variety of seaweeds out there – we collect grass kelp, dulse, nori, etc, but the most popular is the laver seaweed, which is known in Wales as ‘Welshman’s caviar”. Best drank neat, with a splash of ginger ale and a slice of orange, or as a hot buttered rum, the taste is said to have warm notes of caramel, vanilla, cloves and orange. And what’s next for the Pembrokeshire Company? “We are now, working furiously on perfecting a naughty ‘adult’s only ice cream’. We want to use the rum to infuse the ice cream, we’re still in the experimental phase, but we hope to have it ready for summer.” We hope so too, Jonathan! The Barti Ddu rum and other products can be bought online at: http://beachfood.co.uk.